Paul Ledwon is the principal cello of the Omaha Symphony, a position he has held since 1999. His frequent solo appearances with the Orchestra have featured works by Haydn, Tchaikovsky, Shostakovich, and Schumann. Paul began his musical training at the age of four on the piano and violin, discovering the cello a few years later. He studied with Hans Jørgen Jensen at Northwestern University, earning his bachelor of music with distinction and his master of music with program honors. At that time Paul was principal cello of both the Northwestern University Symphony and the Chicago Symphony Civic orchestras, as well as a substitute with the Chicago Symphony Orchestra. As a recipient of the prestigious Deutscher Akademischer Austauschdienst (DAAD) fellowship, he continued his studies with Martin Ostertag at the Hochschule für Musik in Karlsruhe, Germany. During his three years there, he performed as a soloist with and principal of the Hochschule Orchestra and subbed frequently with the Südwestfunk (SWF) Orchestra in Baden-Baden and the Südwestdeutsches Kammerorchester in Pforzheim. An avid performer of contemporary music, he played with the Karlsruhe contemporary music ensemble, touring Brazil and South Korea and participating in recording the works of Wolfgang Rihm with renowned conductor Péter Eötvös. Paul received his artists diploma from the Hochschule with the highest possible marks. 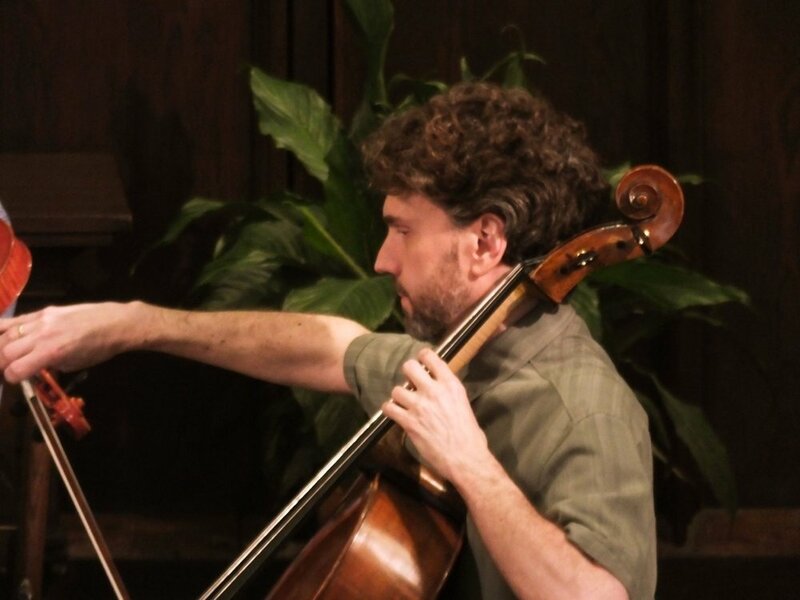 Since returning to the United States Paul has also been a member of the Milwaukee Symphony Orchestra and has served as principal cello for the South Bend and Elgin symphony and Chicago Opera Theater orchestras. In 1997 he joined the Peninsula Music Festival Orchestra in Door County, Wisconsin, and has been principal cello there since 2004.